CONSENT means a clear affirmative act establishing a freely given, specific, informed and unambiguous indication of the website user's agreement to the processing of personal data relating to him or her, such as by a written statement, including by electronic means, or an oral statement. - The processing of personal data should be designed to serve mankind. - The right to the protection of personal data is not an absolute right; it must be considered in relation to its function in society and be balanced against other fundamental rights, in accordance with the principle of proportionality. It shall mean all websites as it may exist from time to time of Animated Video including but not limited to www.animatedvideo.com. This privacy statement describes how A1 Future Technologies Pvt. Ltd. dba Animated Video ("Animated Video") collects and uses the personal information you provide on our Web site: www.animatedvideo.com. It also describes the choices available to you regarding our use of your personal information and how you can access and update this information. Animated Video is a licensee of the TRUSTe Privacy Program. TRUSTe is an independent organization whose mission is to build user's trust and confidence in the Internet by promoting the use of fair information practices. This privacy statement covers the Web site www.animatedvideo.com. Because this Web site wants to demonstrate its commitment to your privacy, it has agreed to disclose its information practices and have its privacy practices reviewed for compliance by TRUSTe. This Policy is applicable to whosoever visits any of A1 Future Technologies Pvt. Ltd.. Animated Video and any service of A1Future Technologies Pvt. Ltd. being a partner, affiliate partner, reseller, and end customer. This Policy shall be legally binding on you and A1 Future Technologies Pvt. Ltd., on different activities on all our websites including but not limited to browsing through our websites, placing order on our websites, asking for quotation on website, reading blogs on our website, requesting a call back using our website or whatsoever purposes as a click-wrap contract between you and A1 Future Technologies Pvt. Ltd. If you have questions or concerns regarding this statement, you should first contact Animated Video at dp@a1future.com. If you do not receive acknowledgement of your inquiry or your inquiry has not been satisfactorily addressed, you should contact TRUSTe at https://feedback-form.truste.com/watchdog/request TRUSTe will then serve as a liaison with us to resolve your concerns. As is true of most Web sites, we automatically gather information about your computer such as your IP address, browser type, referring/exit pages, and operating system using authority and reliable third-party tools. We do not knowingly collect any Personal Data from children under the age of 16. If you are under the age of 16, please do not submit any Personal Data through our Websites or Service(s). If you have reason to believe that a child under the age of 16 has provided Personal Data to us through our Websites or Service(s), please contact us and we will delete such personal information and terminate the child's account from our databases. 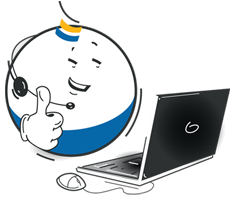 We use live chat to assist you with order processing. If our live chat is offline we will collect your name and email address so that we may reply to your request. We post customer testimonials on our Web site which may contain personally identifiable information. We do obtain the customer's consent via email prior to posting the testimonial to post their name and/or images along with their testimonial. We also send you product information that you have requested and other transactional emails related to your account and/or order. Generally, you may not opt-out of these transactional emails but for promotional emails you can choose to opt-out. Thus, deleting the User does not delete business-specific organization-owned data created and contributed to; by the User including without limitation, knowledgebase articles, notes, forum topics/comments, support calls, surveys, canned responses, ticket templates, order forms, order history, contacts, companies, tags, conversations in the tickets, email communications, comments or details provided on any third-party platform such as social media etc. We will share your personal information with third parties only in the ways that are described in this privacy statement. We do not sell your personal information to third parties. We may provide your personal information to companies that provide services to help us with our business activities such as credit card processors or offering customer service. These companies are authorized to use your personal information only as necessary to provide these services to us. Cookies set by the A1 Future are called "first party cookies". Cookies set by parties other than the website owner are called "third party cookies" . Some cookies are required for technical reasons in order for our Websites and Services to function correctly, we refer to these as "essential" or "strictly necessary" cookies. Other cookies enable us and the third parties we work with to track and target the interests of visitors to our Websites, and we refer to these as "Preferences" or "Statistics & Analytics" or "Marketing" cookies. The details of the cookies we use can be found in our Cookie Statement. Our Site includes links to other Web sites whose privacy practices may differ from those of Animated Video. If you submit personal information to any of those sites, your information is governed by their privacy statements. We encourage you to carefully read the privacy statement of any Web site you visit. When we collect personal information directly from you, we follow generally accepted industry standards to protect the personal information submitted to us, both during transmission and once we receive it. No method of transmission over the Internet, or method of electronic storage, is 100% secure, however. Therefore we cannot guarantee its absolute security. If you have any questions about security on our Web site, you can contact us at dp@a1future.com. Correcting and Updating Your Personal Information To review and update your personal information to ensure it is accurate, contact us at dp@a1future.com. If you have previously agreed to us using your personal information for direct marketing purposes, you may change your mind at any time by writing to or emailing us at dp@a1future.com. A1 Future Technologies Pvt. Ltd.